*Nick Fury stars in “Overkill!” Script by Stan Lee, breakdowns by Jack Kirby, finished art by Jim Steranko (his first work for Marvel). Doctor Strange stars in “Umar Strikes!” Script by Stan Lee, art by Bill Everett. Cameos by Baron Mardo, Dormammu, and eTernity. Clea appearance. 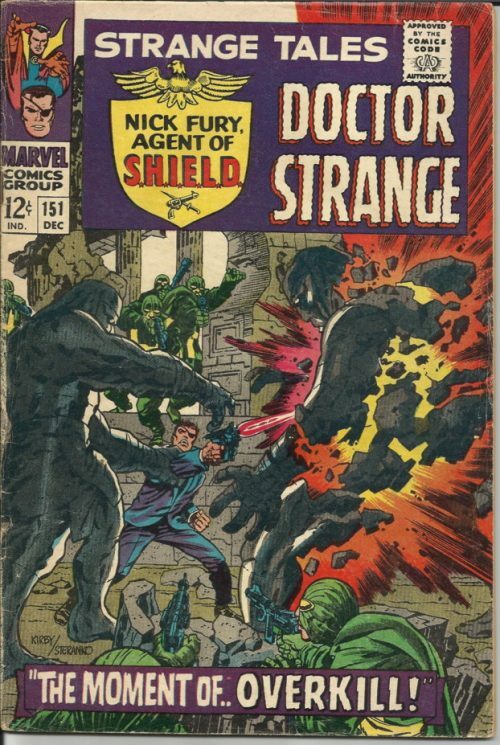 Kirby/Steranko cover.